Comments Off on Dynamics 365 User Adoption: Who Wants to Be a Super User? Dynamics 365 User Adoption: Who Wants to Be a Super User? Who wants to be a Super User in CRM? 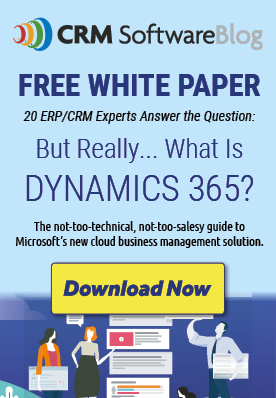 One surefire way to increase user adoption in your Dynamics 365 system is to build a team of CRM super users. Play with the terminology here to find what works in your organization. These can be super CRMers, Super Users, Early Adopters, CRM Advocates or any clever term you can think of. The ultimate goal of this group is to learn CRM well and get extra exposure to the CRM process (especially during big system changes like upgrades or enhancements), eventually leading to development of CRM Advocates. By varying skill level, you will get a better view into why people are / are not using the system, what could encourage use and a more robust understanding of current pain points. In addition, make sure to include users from different areas of the business, not all in one specific territory. Involve this group right from the beginning - get them involved right at the requirements gathering stage. Continue to include them in feedback and review sessions and throughout the User Acceptance Testing stage. If your organization and culture is driven by acknowledgement, consider providing "CRM Champion Certificates" and recognize this group throughout the company. Need help figuring out how to user your CRM Super Users? We are User Adoption experts at Beringer Technology Group. Let us help you make sure you don't miss the mark when it comes to User Adoption. This blog is part of a series that will focus on a deep dive in User Adoption. User Adoption is so very important in a CRM implementation and is often overlooked. So, what can you do to help encourage adoption for a system? Over the next several months, we will look at ten ways to help with User Adoption at your organization. Posted in About Microsoft Dynamics 365, About Microsoft Dynamics CRM | Comments Off on Dynamics 365 User Adoption: Who Wants to Be a Super User?